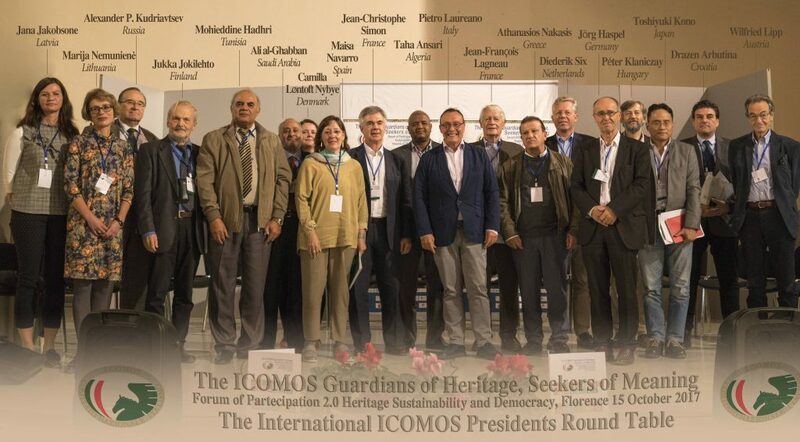 The main European Presidents of ICOMOS – International Council of Monuments and Sites, in its role as a consultant to UNESCO, met at a round table on October 15th at the Forum of Participation 2.0 held at Fortezza Da Basso in Florence for the implementation of the United Nations’ 2030 Sustainable Cities and Communities. Will be present: Austria – Wilfried Lipp President of ICOMOS Austria; Croatia – Drazen Arbutina President of ICOMOS Croatia; Denmark – Camilla Løntoft Nybye President of ICOMOS Denmark; France – Jean-François Lagneau President of ICOMOS France and Jean-Christophe Simon Member of the Board of ICOMOS France; Germany – Jörg Haspel President of ICOMOS Germany; Greece – Athanasios Nakasis President of ICOMOS Greece; Holland – Diederik Six President of ICOMOS Holland; Hungary – Péter Klaniczay Vice President of ICOMOS Hungary; Japan – Toshiyuki Kono Vice – President ICOMOS International; Italy – Pietro Laureano President of ICOMOS Italy; Latvia – Jana Jakobsone President of ICOMOS Latvia; Lithuania – Marija Nemunienė President of ICOMOS Lithuania; Russia – Alexander P. Kudriavtsev President of ICOMOS Russia; Saudi Arabia – Ali al-Ghabban Saudi Commission for Tourism and Antiquities; Spain – Maisa Navarro Member of ICOMOS Spain. 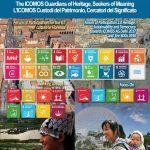 • UNESCO World Heritage Convention: history of success or crisis of its values?